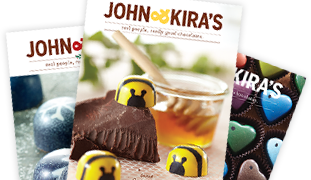 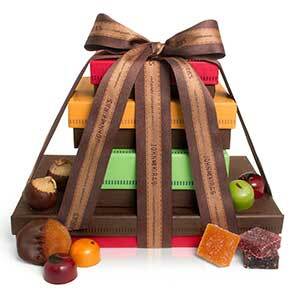 Our Farmer's Market Feast Tower features a 56-piece Every Flavor Box highlighting all ten varieties of our chocolate ganache squares, a 28-piece box of our Irresistible Fruit Squares, a 12-piece. 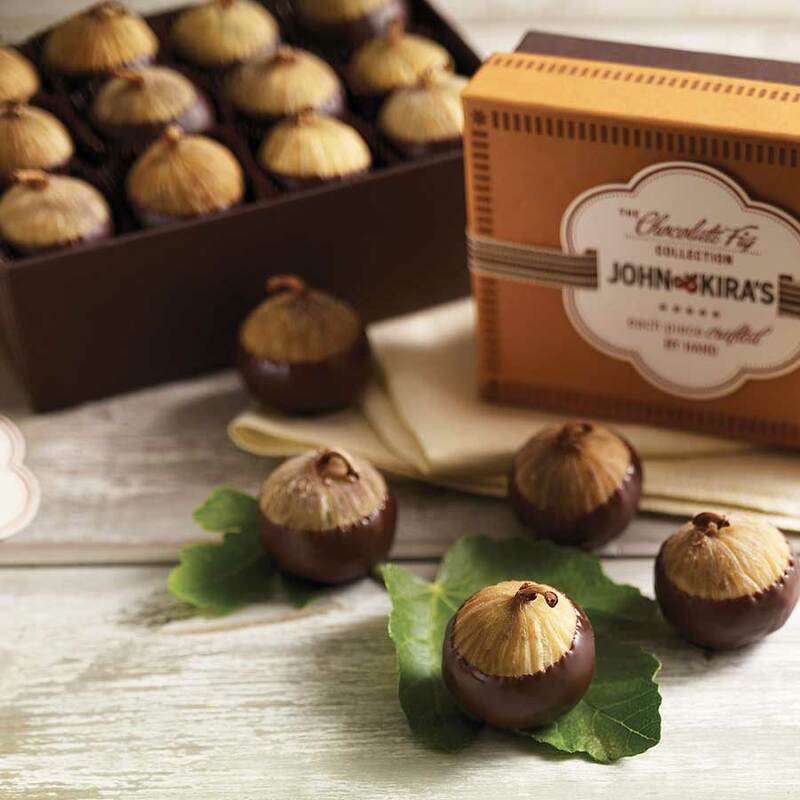 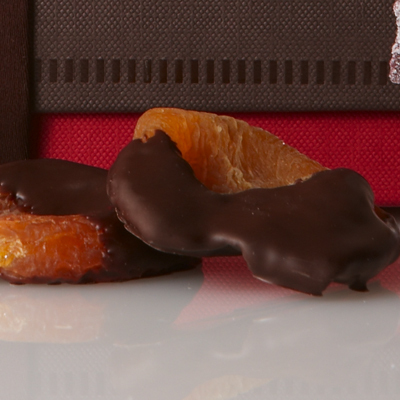 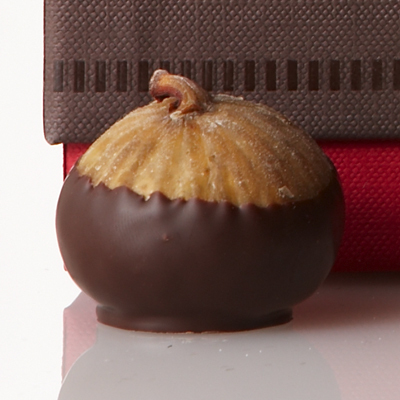 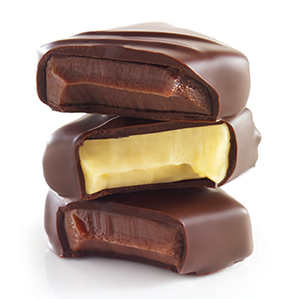 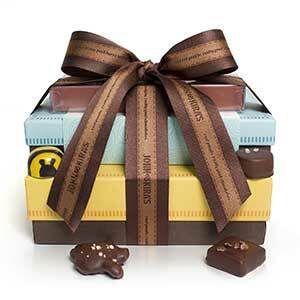 box of Chocolate Figs and a 6-piece box of Chocolate-dipped Heirloom Apricots. 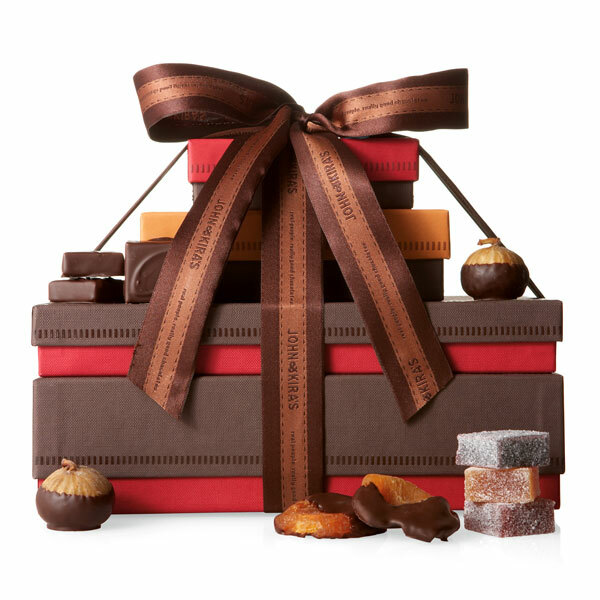 This gift will satisfy the chocolate cravings of everyone at a big family dinner or is the perfect gift for the entire office.